“Norfolk Bearings” is Norfolk Bearings & Supply Co., Inc.
“Order” means the Purchaser’s commitment to purchase products from Norfolk Bearings. 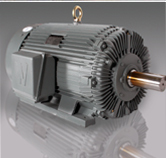 All prices are subject to price in effect at the time of shipping by Norfolk Bearings. All price quotations are valid only for products shipped within thirty (30) days of the date indicated on the quote or price list. All prices quoted without sales tax shall have such tax added thereto. Estimates are solely estimates and are not guaranteed. Transportation shall be by usual means and at the Purchaser’s expense. Unless otherwise agreed to in writing, payment terms are Net Thirty (30) Days from the date of the invoice. Norfolk Bearings may require full or partial payment in advance, if, in its judgment, the financial condition of the Purchaser at any time prior to shipment so warrants. If any amounts remain unpaid after the due date specified above, then a time price differential (service charge) equal to the lesser of (a) one and one half percent (1.5%) per month (b) the maximum monthly rate allowed by applicable law, may be applied and added to the outstanding balance, on a daily basis, until paid. Each principal of Purchaser hereby individually grants Norfolk Bearings permission to investigate and verify his/her individual credit information at the sole discretion of Norfolk Bearings for the purpose of extending credit to the Purchaser. The Purchaser hereby grants Norfolk Bearings permission to report information regarding Purchaser to proper persons and/or credit bureaus, as determined by Norfolk Bearings in its sole discretion. Except for obligations stated under “Limited Warranty”, Norfolk Bearings’ responsibility ceases upon delivery of the products to the carrier at the stated shipping point, and title, ownership and risk of loss pass to the Purchaser upon such delivery to the carrier. In no event shall any loss, damage, injury or destruction operate in any manner to release Purchaser from the obligation to make payments required herein. All claims, including claims that products were shipped short by Norfolk Bearings, must be made by Purchaser in writing within five (5) days after receipt of the applicable shipment. If Purchaser fails to make any claim within this time limit, said claims shall be barred. Norfolk Bearings shall not be responsible for failure and delay of delivery. Purchaser waives any claims for damages arising by virtue of delay and delivery, regardless of the cause of delay. All materials not rejected within five (5) day after delivery shall be deemed to have been inspected and accepted by the Purchaser and the Purchaser agrees that it may not thereafter reject or revoke acceptance of such products. Should Purchaser default hereunder in any way whatsoever, all amounts owed by Purchaser shall become immediately due and payable. In the event the account is placed for collection, Purchaser and its principles and guarantors agree to pay all expenses of collection permitted by law and incurred by Norfolk Bearings, including, but not limited to, attorney’s fees in an amount equal to twenty-five percent (25%) of any money owed at the time and court costs. All claims for adjustments or corrections of billings must be made within five (5) days of receipt of the invoice. Any action between the Purchaser and Norfolk Bearings hereunder shall be brought and heard in the courts of the City of Norfolk, Virginia, and this agreement shall be governed by and enforced in accordance with the laws of, the Commonwealth of Virginia. 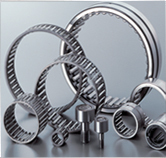 NORFOLK BEARINGS MAKES NO WARRANTY OF MERCHANTABILITY OR FITNESS FOR ANY PARTICULAR PURPOSE. 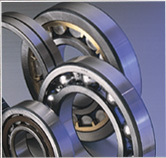 If at any time within one year after the shipment of products to Purchaser, but in no case thereafter, Norfolk Bearings determines upon receipt of a written claim from Purchaser that a product sold to Purchaser contained a defect in workmanship and material when supplied, Norfolk Bearings will refund the purchase price to Purchaser or, at Norfolk Bearings option, repair or replace the product upon its return F.O.B. to Norfolk Bearings. Such repaired or replacement products will be furnished without charge to the Purchaser provided that prompt notice in writing is given to Norfolk Bearings within the warranty period and that the defective products are returned to Norfolk Bearings properly packed, transportation prepaid. Replacement products provided under the terms of this warranty are warranted for the remainder of the warranty period applicable to the original product. THIS WARRANTY IS EXPRESSLY IN LIEU OF ANY OTHER WARRANTIES, EXPRESS OR IMPLIED. There are no warranties which extend beyond the description on the face hereof. It is expressly agreed that Purchaser’s sole and exclusive remedy for any defect in workmanship in material and for any other defect or for any tortious conduct of Norfolk Bearings shall be the repair and/or replacement (at Norfolk Bearings’ option) of any product or parts thereof that are non-conforming, or (Norfolk Bearings’ option) the refund of the purchase price thereof. No other claims of any kind or nature whatsoever shall be made upon or required to be granted by Norfolk Bearings. IN NO EVENT SHALL NORFOLK BEARINGS BE LIABLE FOR ANY SPECIAL, INCIDENTAL OR CONSEQUENTIAL DAMAGES BASED UPON BREACH OF WARRANTY, BREACH OF CONTRACT, NEGLIGENCE, STRICT TORT OR ANY OTHER LEGAL THEORY. THE MAXIMUM LIABILITY OF NORFOLK BEARINGS SHALL NOT EXCEED THE AMOUNT OF CONSIDERATION RECEIVED BY IT FOR THE APPLICABLE MATERIAL GIVING RISE TO SUCH LIABILITY. Purchaser acknowledges that the warranty set forth herein shall be its sole and exclusive remedy, waives all other remedies, warranties, guaranties and liabilities, express or implied and acknowledges that Norfolk Bearings shall have no liabilities other than as expressly set forth herein.